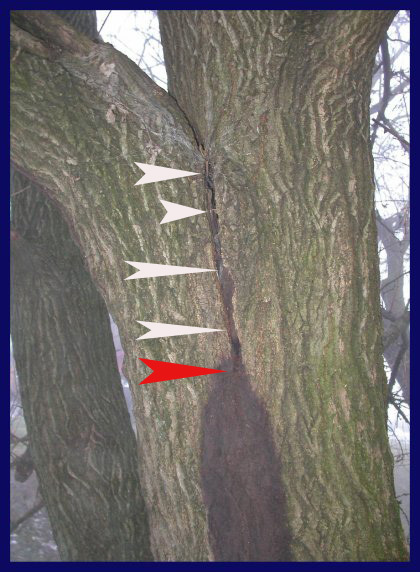 The crack at point A is extended from wounds at point B. So the primary agent is the old wound as the starting point of the crack. 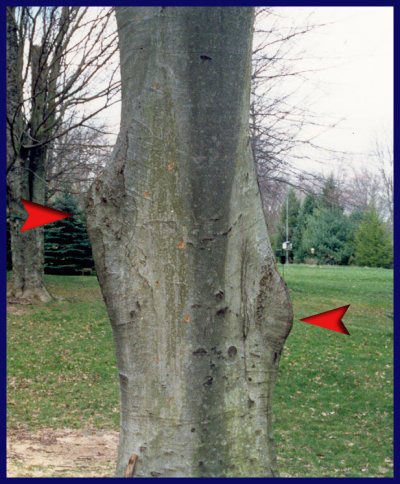 The white points are the crack which is a result of included bark. The red pointer is where wetwood fluids are exiting. Wetwood is a Protection Wood. Here cables will be installed following some selective pruning to extend the safe period. We will not drain wetwood because it is a protection feature for the tree. Trees have a language. 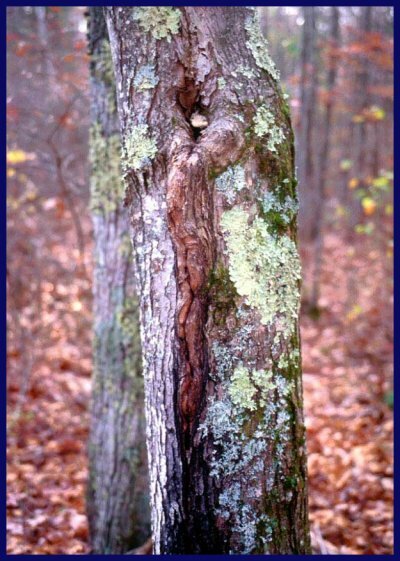 We call it the body language of trees. You learn to see the signs. Here we have what we call Pinocchio Noses. 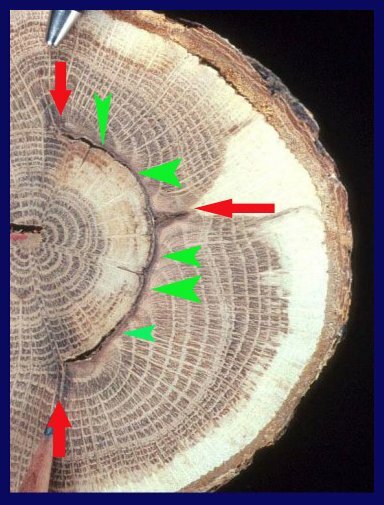 They are a sign that this tree may be moving into a high risk of hazard category. 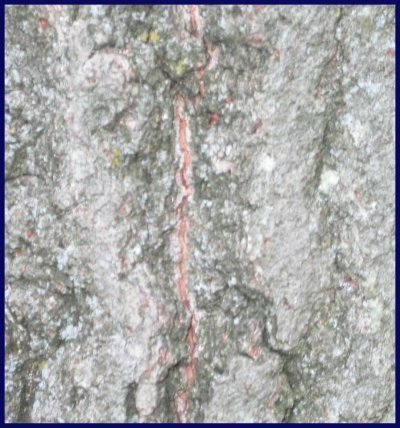 Next picture will be a transverse view of this tree. The Green Pointers is a primary crack. 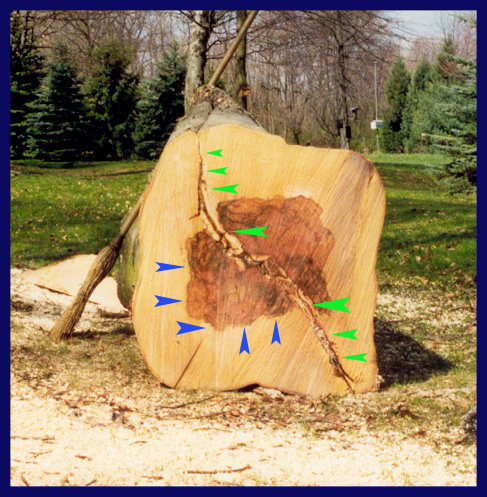 The blue points to color altered wood from a wound or an injury. That is not heartwood and this tree, beech, is not a heartwood forming tree. The green points to the barrier zone. 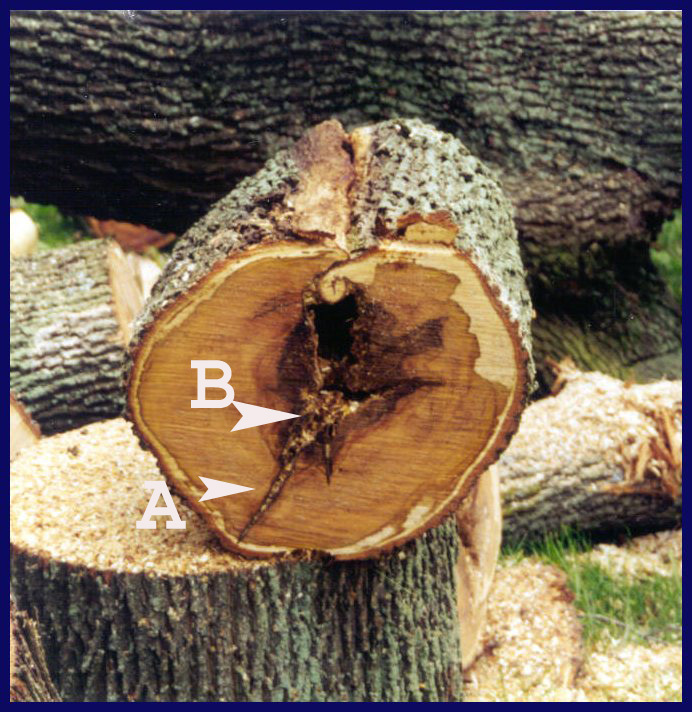 The barrier zone represents the size of the tree when it had a serious wound. The Red Arrows are 3 cracks that are starting from the old wound. Microorganisms are following the crack so you are starting to see the changes in color as a result. Remember, the crack comes first then the microorganisms follow. One point is that the cracks are not starting from sun or frost. The starting points are old wounds. Same theme here again. Over and over and over. Here is a crack below an old branch stub. 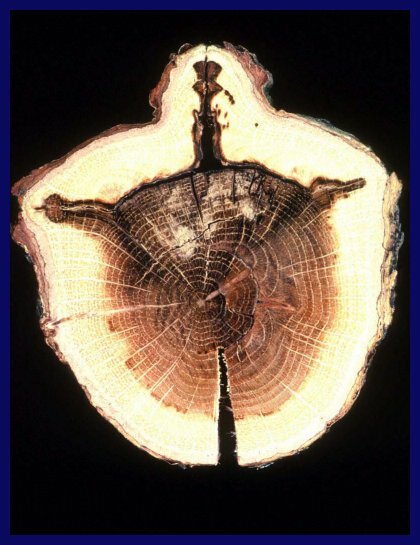 This is not a crack starting from the inside out, this is at the base of a fissure as the tree is growing in girth.